Hello! How was your weekend? Mine was far too short. Anyways, today I am posting to say that Brianna and I are going to be doing a read-a-long with each other once a month! Yay! Last month we read Burn for Burn by Jenny Han and Siobhan Vivian. 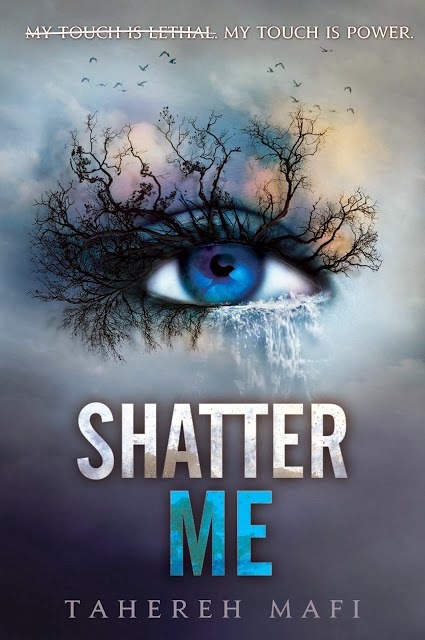 This month, it's Shatter Me by Tahereh Mafi! We are both super excited for this read. And I adore the cover. I will be reading this while away for the Family Day weekend but the drive is long so I figure I will get some reading in! Here's our schedule! We will also be doing a joint post about our thoughts at the end of the month. Have a lovely long weekend! Check out Brianna's blog, For the Love of Books, at booknook24674.blogspot.ca. Seriously, go. Yay! So excited, Danika. my blog link is actually booknook24676, not 4. Aha. Can't wait! it takes you 3 days to read a book?! good job! aha lol that was very ambitious! It takes me a lot longer during a school week but I had a 5 hour drive (twice) this weekend aha. (: I actually had to revise it though because I forgot this was the week I went skiing, so it took five days.